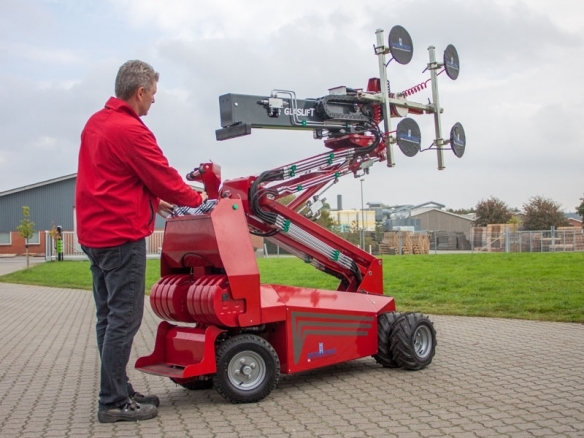 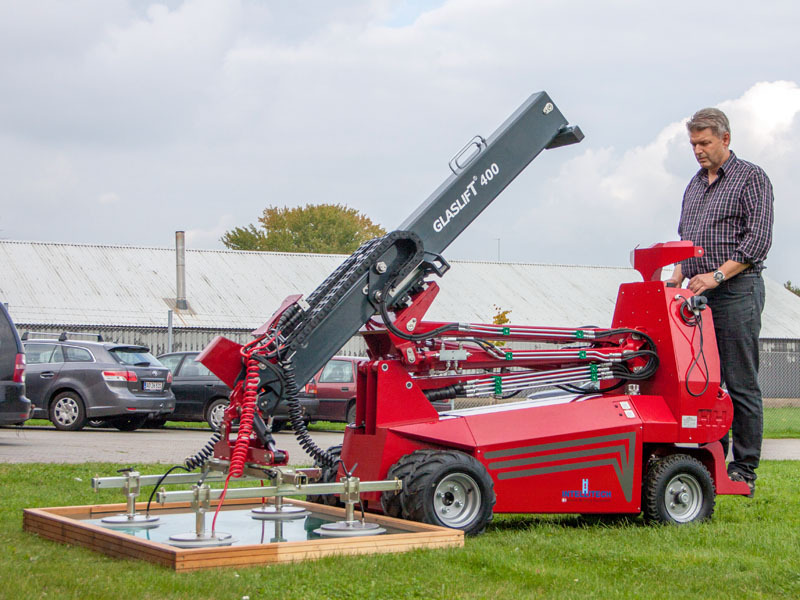 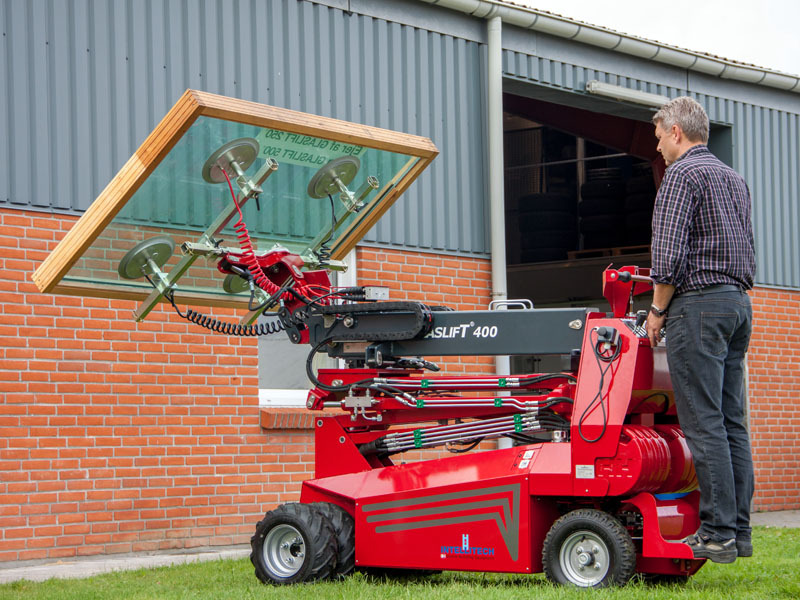 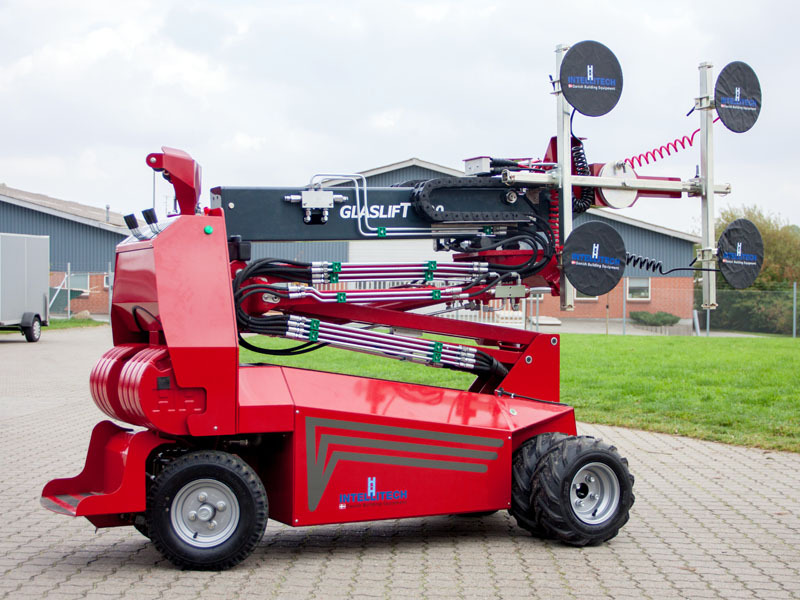 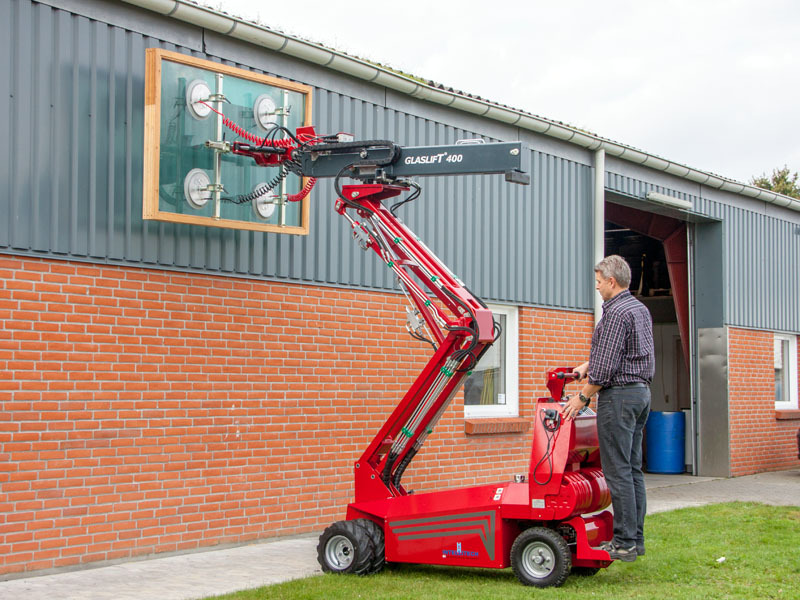 The GLG 550 Glazing Robot shares a chassis with the bigger GLG 680 model, these robots take glazing to another level, with its vast variety of functions and lifting power this Glazing Robot is ideal for large commercial projects. 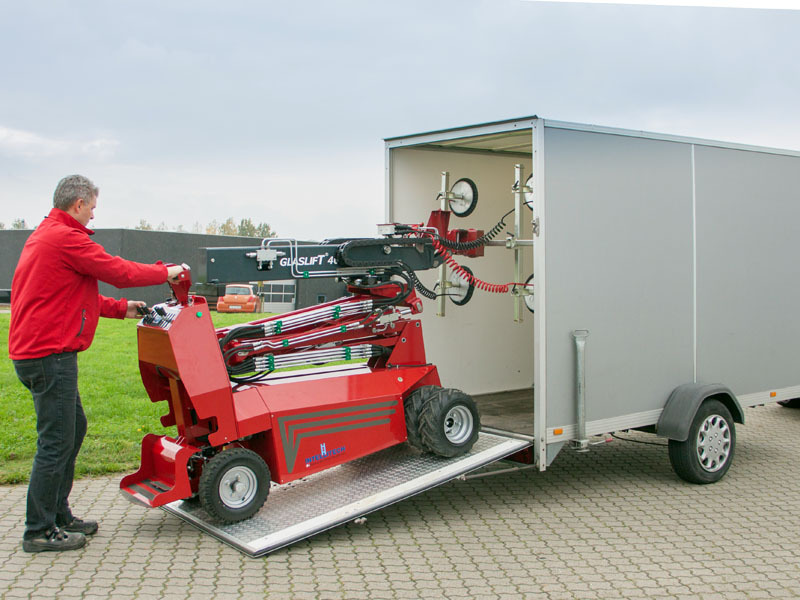 With the front twin-wheels, and hydrostatic drive, this machine can operate in all kinds of terrains. Lifts 550kg from floor level up to 4m in a fully parallel operation, offering 430mm of boom extension.